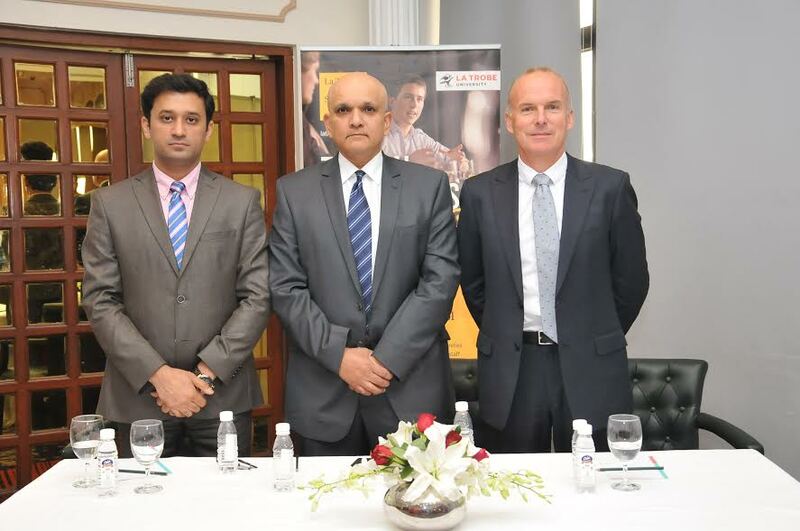 Mumbai: Opening NEW opportunities for Sri Lankan/Nepalese/Indian students, a senior delegation led by Professor Paul Mather, Head of La Trobe Business School (LBS), La Trobe University (LTU), Australia visited Colombo, Kathmandu and India. In response to student demand from India and SAARC Countries, LBS has introduced a new intake for its Undergraduate business courses in November, in addition to the two semesters in February and July. La Trobe Business School few years earlier introduced third semester for its Post graduate courses which is now very popular amongst in Indian students. In addition, new programs have also been introduced to meet the needs of industry and the latest trends in the job market. Text Box: La Trobe Business School amongst World’s Best! La Trobe University has jumped about 200 places in the latest Academic Ranking of World Universities. It is placed 336th in the world and it means that the University is placed in the top 400 in the world in all three recognised international rankings of universities said Professor Paul Mather. Once again La Trobe Business School, Australia is offering scholarships to the value of 15%, 20% and 25% of the total tuition fee for undergraduate as well as postgraduate International students commencing in 2017. These scholarships are merit based and will be offered to students based on their prior academic performance. These scholarships will be offered to students on a first come first serve basis. Analytics) and Bachelor of Business/Master of Management for both Domestic and International markets.